Since the incident happened, I have learnt how not to trust anybody any more. I put my trust now in the Lord. And this is better explained in the new song I recorded. The music captures my story. Emotionally, I have been drained and to some extent humiliated, even in public…I wasn’t happy that I was involved in that accident. I have said it over and over again that I’m deeply sorry that it ever happened. I don’t know how else to atone for the accident. I started begging my victim’s family from the very day the accident happened. My family attended the funeral rites and service of songs and I even attended the 40 days prayer when I was strong enough to move about. I met with the mother and the wife of the deceased. There’s virtually nothing I didn’t do to plead with the family of the deceased to let me off the hook. I’m still pleading with them as I speak with you right now.” With this heart-rending statement Ibinabo Fiberesima broke down in tears after she was released from Kirikiri prison in 2009. It was same again Friday last week, as the appellate court dismissed her appeal and affirmed the High Court’s judgement, which sentenced her to five years imprisonment for manslaughter. 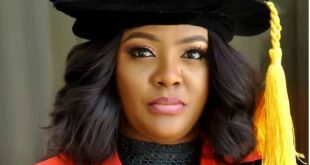 She was convicted following the death of a Lagos-based medical doctor, Dr Giwa Suraj, whom she killed in an auto accident along Lekki–Epe expressway, Lagos. However, seven years after she had that horrible experience, the ex-beauty queen and incumbent president of the Actors Guild of Nigeria,AGN, is back to face the music. When the news of her conviction went viral on the internet, even her enemies wept for her. But despite the odds, the good thing is that Ibinabo has come to accept her fate, even as she said, she’s always praying for the family of her accident victim, Dr. Giwa Suraj. Apparently, since the judgement was delivered, it has been greeted with an outpouring of emotion, pain and regrets on the part of Ibinabo’s colleagues. Following her ordeal, major stakeholders in Nollywood refused to last Saturday as they met somewhere in Surulere, to fine-tune plans to mobilize A-list actors and actresses prior to prevailing on the Lagos State government as well as the family of the late Dr Giwa Suraj to temper justice with mercy. The practitioners, including Mr. Zik Zulu Okafor, Mr Raph Nwadike, Directors Guild of Nigeria, DGN, president-elect, Fred Amata, veteran film maker, Zeb Ejiro, Segun Arinze, Felix Duker, Ifeanyi Dike, Yakubu Mohammed,Mike Iliam among others equally stormed Kirikiri prison the following day to show their solidarity with the incarcerated actress. While at the Kirikiri prison, emotion pervaded the vicinity as the movie stars took turns to see the actress seated in a small waiting room. Looking depressed and in low spirit, once cheerful Ibinabo expressed faith in God that the days of storms would soon be over. Her look confirmed one thing and that’s there is nothing that rends the heart, that ruins a life so quickly as being shut out of the world. But while she was trying to hide her emotion, other female inmates were busy having fun, as they kept shouting and waving at some of the popular Nollywood faces who were at the prison. Ibinabo’s lawyer was among the early birds at the prison. He disclosed that he would be heading to the Supreme court, on Monday, to apply for stay of execution of the jail sentence, even as Ibinabo’s son, Sean Liam Coughlan Saturday, urged Nigerians to pray for his mother. Meanwhile, a week before she was convicted, the actress painted a clear picture of the kind of relationship that was existing between the family of the deceased and herself. Speaking with Showtime Celebrity, Ibinabo revealed that the late Dr. Suraj’s family banned her from coming to visit them. According to her, “I don’t have a relationship with the family. They banned me from coming to see them. I used to visit the mother, but they warned me to stop coming to their house. So, I can only pray for them and that’s what I did always.” Asked if she has ever tried to send the family goodwill messages, the actress replied, “If I had their GSM lines, I would have sent them messages. But like I said earlier, I was banned from visiting them. 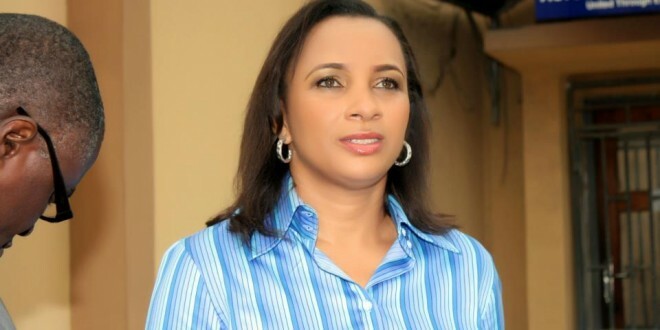 They said I should not dare get close to them.” Also recounting what led to her present predicament, Ibinabo revealed that part of the condition for granting her bail in 2009, was that she should appeal the decision of the High Court, which sentenced her to five years in imprisonment. 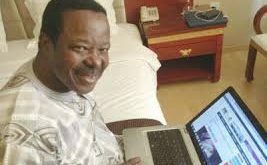 When I was granted bail, the condition for granting the bail was that I should challenge the jail term slammed on me by the High Court, and urge the court to restore the decision of the Magistrate Court which fined N100,000 and I paid. And the appeal was only heard in January, that’s all. 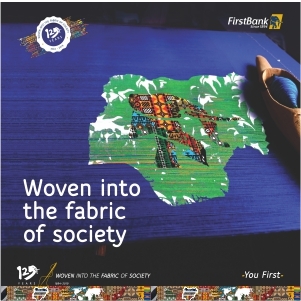 The case was between Lagos State government and I,” Ibinabo recounted. Surprisingly, the appellate court, Friday last week dismissed her appeal as it affirmed the High Court’s judgement. Devastated by this development, the embattled actress broke down and wept like a baby as she was led out of the court after the judge ordered that she should be sent to Kirikiri for the second time. Painful also was the fact that she was on her way to Port Harcourt when she got a call ordering her to turn back and present herself in court, unknown to her that it would be the beginning of her second journey to Kirikiri prison. 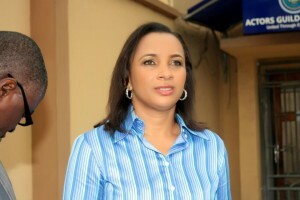 Ibinabo also addressed some of the burning issues affecting the smooth running of the actors’ body. According to her, while she was away, they freezed the guild’s bank account, making it almost impossible for the leadership of the guild to draw money for their health insurance scheme. She debunked the insinuation that she abandoned her office following the High court ruling that sacked her as the president of the guild, maintaining that she’s still the incumbent president of the Actors Guild of Nigeria. Explaining why she has been away for some time now,the first AGN female president said it was as a result of health challenges. She revealed that she travelled abroad for medical test and they discovered a lump in her breast which has been removed. Speaking further, she said, “the welfare of my members comes before any other thing. We must continue to push on our health insurance scheme for our members. I have my own health challenges too. I went for a test and they found a growth- a lump in my breasts which I had to remove. So, if we don’t do these tests continuously anything can happen. We usually take our lives for granted. You must continue to go for routine medical examinations. That’s what AGN is all about. We are here to ensure that our members are properly taken care of. We can’t get our money in the bank to pay for our health insurance because they froze the account. I opened the account before the case started.” “We are back on track and everything is beginning to happen again. From next week, we would start touring all the states with a free computerized eye screening exercise for all members. We are getting back to our rhythm after all the distractions. 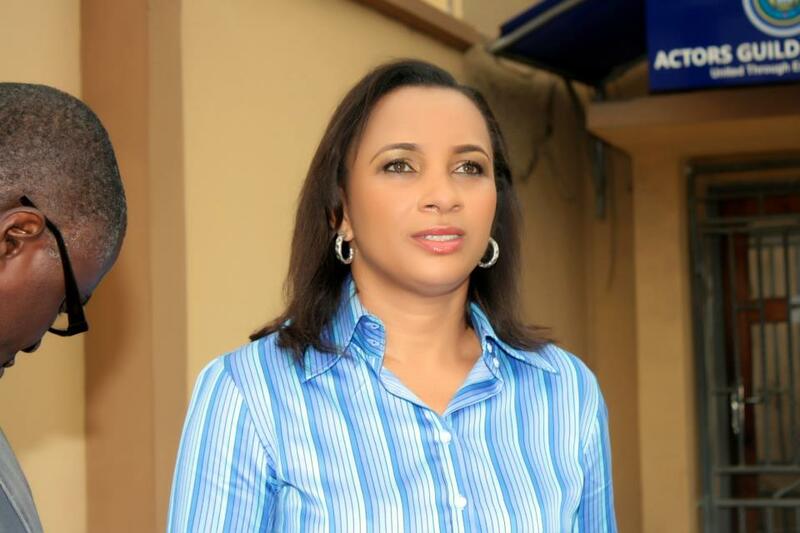 However, following the prolonged crisis rocking the actors’ body, Ibinabo lamented a situation where aggrieved members of the Guild would refer to her prison ordeal each time they want to attack her. ” Every time they want to throw things at me, they would bring it up. I didn’t steal anybody’s money snd I am not a criminal. I was involved in an accident and I have internally remained sorry that it happened. They said I am going to jail again. I almost died the first time I was sent to jail in 2009. I almost committed suicide. But thank God that He brought me out of that depression,” she lamented. On the recent legal action instituted against her by former Miss Earth, Ibinabo dismissed the beauty queens claims that she was not paid for three months prior to the expiration of her tenure. Explaining, she said, “I run a company and a girl signed a contact with the company. She goes to represent Nigeria in Philippines. There is this thing about beauty queens after coming back from international pageant, they are already superstars. This was the case with Miss Earth. It wasn’t me, it was the company because we have people assigned to different things. But they couldn’t reach her, they sent her text messages, they e-mailed her but when it is time to collect her salary, it’s automatic. This is like three months to the end of her reign. We couldn’t reach her. She said she was at University of Port-Harcourt and we went there but she wasn’t there . So, they removed her and put the girl that came second in the competition to complete her reign. The next thing I heard was that I was being sued. She said we didn’t give her the money for three months to the end of her reign. I hit a lawyer from Port-Harcourt, then called WAZOBIA and asked her to tell her story, but she refused to talk. My lawyer said he didn’t understand what they were suing me for.